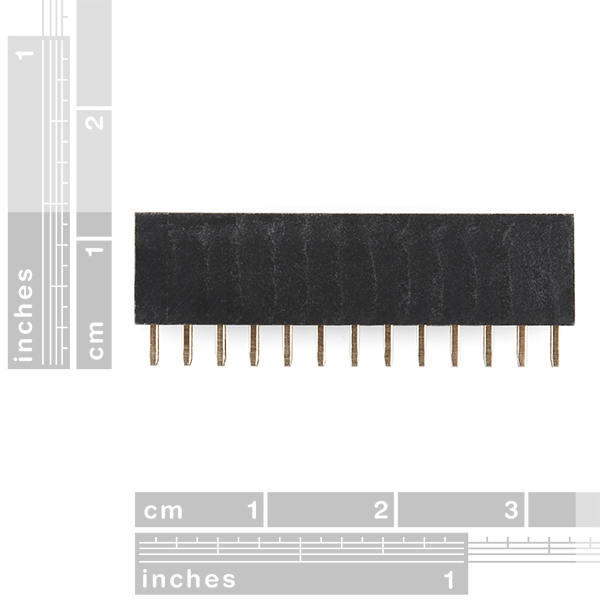 These 0.1" spaced female headers are perfect for building your own Raspberry Pi B add-on modules. These PTH headers are arranged in 2 rows of 13 and mate with the Raspberry Pi B GPIO header. For more information, check out the drawing below. 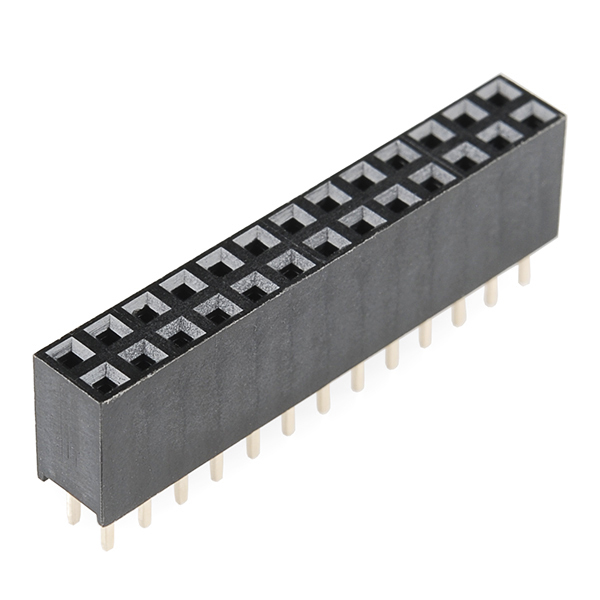 Note: These mate with the Raspberry Pi B, but not the Raspberry Pi B+ which uses a 20x2 connector. I don't believe there is an eagle version of this. There is one of the shrouded header though. Any plans to carry an SMD version of this? I've been searching, but can't seem to find one on Mouser. 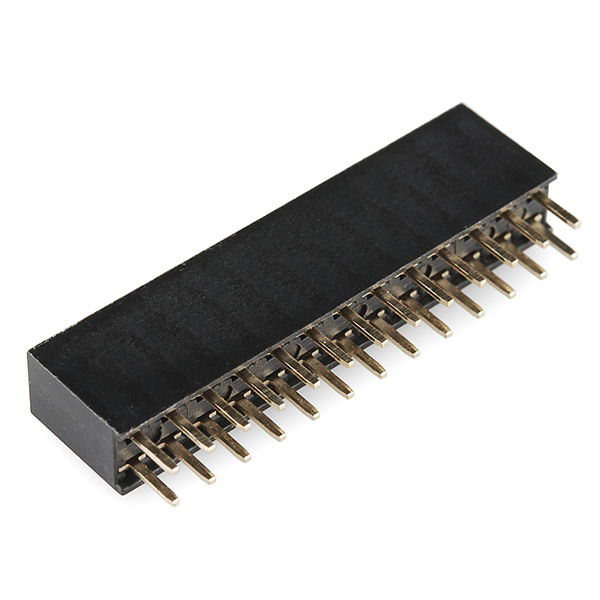 looking at rPi form factor, it would be better to have long header version instead. With this one it's just impossible to get the stacked pcb going over the usb or lan ports.